I wish to thank the late past president Bill Mount for his original idea and effort to put down on hard copy all of the blood, sweat and tears that for over a extended period of time has become the Shongum Sportsmen’s Association. The intention here is to update what Bill started and to provide new members as well as old, a historical timeline of what it took to get where we are as a club today. Too often the historical efforts and path that we took, as an organization, are taken for granted by the membership and past and present members are not recognized for those efforts. If it were not for those people, we would not be the Shongum Sportsmen’s Association. It all started with a group of shooters that were looking for a place and opportunity to shoot during the winter months in the mid 1960’s. Ted Smith was an instructor for an adult education program for target shooting of all things at the Morris Hills High School in Rockaway, NJ. There was a range in the basement of the high school that had little to no ventilation, but it was a place to shoot! That range is no longer in existence. After a short time the regular shooters used that adult school class as their weekly pistol league and began to organize and participate in area pistol matches with other existing clubs. Somewhere around this time they called themselves the Paper Punchers Rifle and Pistol Club of Wharton NJ. This was approximately 1965. The Comanche Bowmen was an archery club that owned 30 acres of land on Casterline Road in Denville since June 1953. They had gotten a loan from the Farmers’ Home Association, to build the clubhouse. Then a problem came up with the continued use of the school range for the club’s shooting, so Ted and a few others began to rent the indoor Comanche Bowmen range for pistol league use one night a week (Tuesdays) to continue their pistol league from the high school site. That range was built and ventilated for archery shooting, not pistol shooting, so there was a definite smoke problem. These were earlier times so when you got home that night, all you needed to do was blow your nose to get the lead out. That agreement for the use of the Comanche range on Tuesdays was because the Comanche club used their range on all other nights for their own activities and is the historical reason why the pistol league still meets on Tuesdays. In the 1970’s the Comanche Bowmen were having trouble maintaining enough members to sustain their expenses. After some negotiations, the two clubs merged and at a special combined meeting in Mine Hill a contest was held (the prize money was $5.00) with the combined membership for the name of the new club. Nick Dewar came up with the suggestion of Shongum Sportsmen’s Association (the Denville property was on Shongum Mountian and Shongum Lake) and it was accepted as a good name for the newly formed club. The Shongum Sportsmen’s Association was born in 1981. The president of the Comanche Bowmen was John Gumann and the president of the Paper Punchers was Robin Scott. Ron Basista was VP, Peter Oriente was Treasurer and Nick Dewar was Secretary/Membership Chairman. Bill Schwabacher, who was the club president at that time, and Ted Smith were the driving forces behind the Paper Punchers becoming partners with Comanche Bowmen. 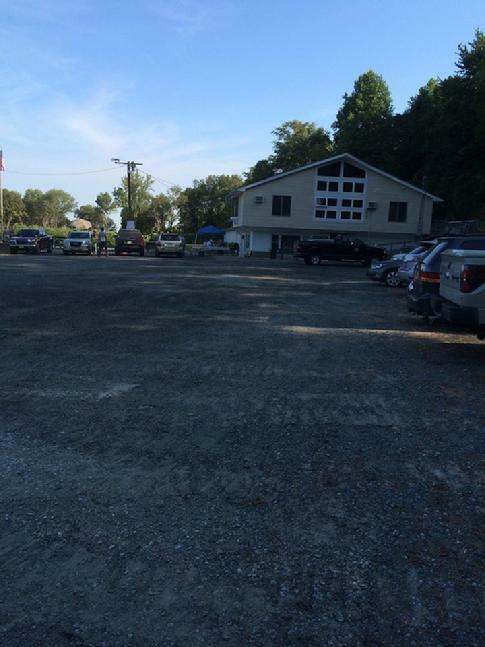 The new club then proceeded to grow and as time moved on improvements were made to the clubhouse in Denville. Our new clubhouse/range had a very nice kitchen, bar and also acted as the monthly meeting room. There were various functions held to help raise money, including the infamous Venison Dinner. If you are curious, ask any long time member about it. Just make sure you are sitting down! At that time, our bills were easily covered by the membership’s dues ($25.00) and we continued to grow. There was a sense of camaraderie and a genuine interest in helping others shoot better. I can not begin to tell you how many firearm problems have been solved over the kitchen counter in Denville. There was always knowledgeable advice freely given and if you needed it, someone (usually Fred Renz) had a part. The Tuesday night pistol league at Denville was heavily attended, the junior rifle league was formed and the monthly club meetings turned into a social event which was almost always attended by most of the club's members. The place was packed. Ron Basista was our chief cook and doing a great job, with the members always there to see what Ron was going to cook up next. Many a pound was added to many of the members but always a great time was had by all. Around the time that the Paper Punchers Rifle and Pistol Club was organizing, the club president Bill Schwabacher and others were friends with June Salmon in Ledgewood (Salmon Oil Co). He owned the property that was the source for all of the sand and fill needed for construction of Route 80 in the Roxbury Ledgewood area. It was a very nice place to shoot! It sat between the areas of the Ledgewood car wash and Howard Blvd. bordering Rt 80. The (Tree) Stump Factory now resides there with its thousands of old tree stumps. It was used for good weather pistol, trap and high power rifle shooting. Sometimes June Salmon would come down and join us for some shotgun shooting; Will Jones was holding Turkey shoot matches there just before Thanksgiving. We used the outdoor range in Ledgewood from late 1960’s to 1987. This was on a hand shake deal with the property owner. The cost was $1.00 per member per year. We would use the Ledgewood outdoor range for the pistol and rifle leagues in good weather and the indoor range at Denville for the pistol league and for 22 rifle shooting during bad weather. Times were good! In Ledgewood we held a number of state championship matches for different disciplines there over the years. The club was very active. We were informed in 1987 that June Salmon had passed away and that we had to vacate the land, as his heirs wanted to use the property for something else. We would soon have no place to shoot our rifles or shotguns. We no longer have use of that property as the tree stumps have taken over. In the fall of 1989, the SSA membership approved the purchase the 90 acres in Mansfield Township, the place which we now call our range/club was called Chapel Hill. We spent approximately $900,000.00 to purchase this piece of property. To do this, we had to leverage the Denville property. We took out a loan for $625,000 with the Powder Mill Bank. The initial plan was to sell 10-12 of the 30 acres we owned in Denville to pay for the Mansfield property, grow the club and we would have two ranges. It’s been said that “timing is everything” and it held true. The real estate market took a down turn and we were not able to sell the 10-12 acres for the amount we needed to pay for Mansfield property. The result was we had to give up Denville to the Powder Mill Bank. That loss cost us many members and made all of us very unhappy. The Powder Mill bank was not having much better luck and was subsequently taken over by the FDIC. They sold the Denville property for $330,000. That left us with a debt of almost $400,000. The light at the end of the tunnel was fast turning into an oncoming freight train. We would get quite depressed at the thought of losing the club. John Gumann had a much better attitude and kept telling us to “take it one problem at a time”. John’s wisdom proved to be good. One of the aspects of the Mansfield property that initially attracted us to it was the fact that it had an indoor and outdoor range that existed since 1962, and hence was grandfathered in as an existing shooting range with the State of NJ. The whole place needed work, but it was there. The outdoor rifle range was where it is now but was small, rough and needed a lot of work. In the spring of 1990, we had a club member with heavy equipment, who was willing to make improvements to the outdoor range. We graded the range impact area and used that dirt to construct a back stop and side berms that were about 30’ high at the impact area and 10’ at the firing line. The idea was to make it safe for use as a high power range and trap ranges, and at the same time reduce the noise level. It was quite effective. We soon discovered that not all of our neighbors were happy that we were there. We were sighted by the township for not obtaining a “soil disturbance permit”. We contacted them and they said, “Seed it; put down hay we’ll approve the disturbance”. We were then told by the town not to use the outdoor range because of use issues that were still unsettled. We did this for 3 years. We hired an attorney, professional engineers and other professionals to help us with the variance hearings we were attending before the Mansfield Board of Adjustment. The meetings were attended by our attorney Bob Cambell, John Gumann, Bill Mount, Jim Owings and some club members. The local residents were represented by the law firm of Jim Courter (ran for US Senate) and funded by members of “Citizen’s Against Shongum”. When the residents attended the meeting, they would do things like have their children (ages 5-10) come to the Board of Adjustment meetings with Bullseye targets tied around the children’s necks. The kids were not too excited about being at the meetings and were disruptive, as young children can be. 1. The range was in existence since 1962. 2. We had to remove the berms. 3. The range had not been abandoned; we stopped using it at their request. 4. They agreed we could use the range, after the berms were removed. In this time, our membership dropped to less than 70 members. It was very difficult, to say the least, to keep things going. Many of our old time members left, I guess they figured we were through. It was very close to being true. The town subsequently zoned the 100 yard range, from “conditional, recreational” to “non conforming”. What that effectively did was make it much more difficult for us to do anything different to the outdoor range, without a variance from the Board of Adjustment. It was very expensive ($50,000), but we were fortunate to have members with the willingness to help us out professionally. We always paid them what we could afford and were fortunate that they were willing to work with us over a period of time. Bill Mount had a friend in the excavating business, Eric Metzler, who for three life memberships, removed the side berms and put the range in the condition that we were ordered to do by the town. It is interesting to note that from the very beginnings, the Paper Punchers Rifle and Pistol Club and certainly the Shongum Sportsmen’s Association was often approached by various Boy Scout groups for permission to use our range (under our direct supervision) for their shooting merit badge programs. We always worked with them to provide their scouts this opportunity. The irony of the situation was that when we were without an outdoor range for a time, we asked BSA permission to use their range. They just said no! After completing our work on our ranges and sending letters to the town, Board of Adjustment, Police, and anybody else we could think of, we opened the outdoor range and began to have high power matches. For the first three matches, the Police came up in response to complaints. That is their job, each time we presented the papers sent to the town and to Chief Lou Esposito. The very last time an officer came up in response to a complaint from our good neighbor, he told us “I’ll tell her it is a good day to go to the beach” and left. Then the FDIC started indicating that they wanted to settle our debt. That freight train started to get closer in the tunnel. The executive board decided we needed one person to be our negotiator with the FDIC. Paul Bradshaw (commercial attorney) agreed to be that person. John Gumann, Paul Bradshaw and Bill Mount came up with a dollar amount number we thought we raise from the club members. This money would be the future of the club. If this was not raised, we were done. Paul made an offer of $25,000 to the FDIC, substantially below the $400,000 that we owed them. Our goal was to get them to give it to us for nothing. Paul called John as soon as he got the response. He was happy; he said “at least they didn’t laugh”. They came back with a counter offer of $50,000. And they would call it even. We formed the Chapel Hill Limited Liability Corp (LLC) and raised the money we needed. All the members who bought into that can be credited with saving the club. I know there were more members, who wanted to help, but we had a very limited time window to act and we only had one meeting night to know if we could raise the money. To me, it is a testament to the importance of the club’s existence that so many members came forward to help. I can tell you that I was told by some members, “If you don’t get to where you need to be, I’ll make up the difference.” I was impressed. Our membership has now grown considerably since that time and we are now once again on solid financial ground. They were very difficult times, but the reward is what we have now. There is a lot of new enthusiasm from our new members. Those of us, who knew Denville, will always miss it. There is no way we could have ever had a high power range at Denville. We know, from our experience with Ledgewood, if we don’t own it, it will probably not be available at some point in time. That is the reason we purchased our latest parcel of land in early 2016. The following additional material has recently been discovered by Jim Owings and is provided to give us some more insight into our club’s history. It is from Paul Bobby, the previous owner of the Chapel Hill property and shows in both words and pictures what the club looked like during his time as owner of the property. Chapel Hill LLC Managing Members: Will Jones, Michael DeLisi, Imre Von Balinth Chapel Hill LLC owners were , in alphabetical order: Ron Basista, Robert Begley, Dezso Benyo, Bruce Berg, Bill Billand Sr., Bill Billand Jr., Kyle Billand, Jack Bowden, Kevin Conn, Michael De Lisi, Jan Eyerman, James Fleshman, Michael Fortunato, John Gumann, Wayne Jarvis, David R. Johnson, Richard Johnson, William Jones, Herbert Kern, Larry Koch, Bruce Kreeger, Mark Loreto, William Mount, James Mundy, Joseph Murray, Jim Owings, Luther Owings, Frank Perelli, Frank Piceno, John Poster, Edward Ramm, Sven Ratsep, Roger Read, Norman Regbar, Fred Renz, Joseph Richards, Seymour Saltus, Robert Schorr, Mark Stern, William Tosca and Imre Von Balinth. William Schwabacker ; Robin Scott ; Ron Basista ; John Gumann ; Bill Mount; Peter Hefferan. Many thanks Nick Dewer for updating the Shongum History listed above and giving credit where it is due. Yet with all good sources of knowledge, one builds upon existing information and provides footnotes of the manuscripts and publications where information was stated or retrieved. Unfortunately SSA does not have such documentation, only memories of the past and now text in a website. So to continue the preservation of our history, Bill's orginal account is listed below for our own footnote of record. May others continue to do the same. Dave J.
I joined Shongum Sportsmen’s Association in 1984. Since then, I have heard bits and pieces about how SSA got started. So I decided to talk to members that have been in the club longer than myself and find out how SSA got to be what it is today. The Comanche Bowmen owned 30 acres on Casterline road in Denville, since June 1953. They had gotten a loan from the Farmer’s Home Association, to build the clubhouse. The debt on the property was about $8,400. (For the clubhouse only, the land was donated) when I took over the treasury, our bills were easily covered by the membership’s dues. The Paper Punchers club was formed in 1969. Ted Smith was an instructor for an adult education program, of target shooting, at the Morris Knolls High School. There is a range in the basement of the high school, but it is no longer used. There was a problem with continued use of the school range for the club’s shooting so, Ted and a few others began to rent range use one night a week from the Comanche Bowmen to continue their pistol league. They would also use the Ledgewood outdoor range, for the pistol league, in good weather and the indoor target traps at Denville during bad weather, in 1975. Bill Schwabacher who was the club president and Ted Smith were the driving forces behind the Paper Punchers becoming partners with Comanche Bowmen. The Comanche Bowmen were having trouble maintaining enough members to sustain their expenses, this was about 1980. After some negotiations, the two clubs combined and held a contest for the name of the new club. Nick Dewar came up with the suggestion of Shongum Sportsmen’s Association (the property was on Shongum Mountain) and it was accepted as a good name for the newly formed club. The Shongum Sportsmen’s Association was formed in 1981. The new club then proceeded to grow and improves were made to the clubhouse. The clubhouse had a kitchen, bar and also acted as the monthly meeting room. There were various functions held to held raise money, including the infamous Venison Dinner. If you are curious, ask any long time member about it. I realized that there was a sense of camaraderie and genuine interest in helping others shoot better. I can not begin to tell you how many firearm problems have been solved over the kitchen counter. Always advice and someone usually had a part, if your gun needed it to function. We used the outdoor range in Ledgewood from early 1950’s to 1987. This was a hand shake deal with the property owner. The cost was $1.00 per member per year. We were informed in 1987, that we had to vacate the land, as the owner wanted to use it for something else. We would soon have no place to shoot our rifles. The Tuesday night pistol league at Denville, turned into a weekly social event which was almost always attended by most of the club's members. Ron Basisita was cooking and doing a great job with the membership always there to see what Ron’s was going to cook up next. Many a pound was added to many of the members but always a great time was had by all. In the fall of 1989, the SSA membership approved the purchase the 90 acres in Mansfield Township, we now call our range/club. We spent approximately $900,000.00 to purchase this piece of property. To do this, we had to leverage the Denville property. We took out a loan for $625,000 with the Powder Mill Bank. The initial plan was to sell 10-12 of the 30 acres we owned in Denville to pay for the Mansfield property, grow the club and we would have two ranges. It’s been said that “timing is everything” and it held true. The real estate market took a down turn and we were not able to sell the 10-12 acres for the amount we needed to pay for Mansfield property. The result was we had to give up Denville to the Powder Mill Bank. That loss cost us many members and made all of us unhappy. The Powder Mill bank was not having much better luck and was subsequently taken over by the FDIC. They sold the Denville property for $330,000. That left us with a debt of almost $400,000. The light at the end of the tunnel that was an oncoming freight train. I would get quite depressed at the thought of losing the club. John Gumann had a much better attitude and kept telling me “take it one problem at a time”. John’s wisdom proved to be good. One of the aspects of this property that initially attracted us to it was the fact that it had an indoor and outdoor range that existed since 1962. They both needed work, but they were there. The outdoor range was where it is now. In the spring of 1990, we had a club member with heavy equipment, who was willing to make improvements to the outdoor range. We turned the range impact area away from the local houses and sunk it down and used that dirt to construct a back stop and side berms that were about 30’ high at the impact area and 10’ at the firing line. The idea was to make it safe to use both the high power range and the trap ranges, at the same time and reduce the noise level. It was quite effective. We soon discovered that not all of our neighbors were happy that we were there. We were sighted, by the Warren County Soil Conservation Commission, for not obtaining a “soil disturbance permit”. We contacted them and they said, “Seed it; put down hay we’ll approve the disturbance”. We did that, they approved it in two weeks. After that, most towns in the county agree with the County Commission and give their approval. We were not so lucky. We then were told by the town to cease using the outdoor range, until this was settled. We did this for 3 years. We hired an attorney, professional engineers and other professionals to help us with the variance hearing we were going to before the Mansfield Board of Adjustment. The meetings were attended by our attorney Bob Cambell, John Gumann, Bill Mount, Jim Owings and some club members. The local residents were represented by the law firm of Jim Courter (ran for US Senate) and funded by members of “Citizen’s Against Shongum”. When the residents attended the meeting, they would do things like have their children come (ages 5-10) to the Board of Adjustment meetings with bullseye targets tied around the children’s necks. The kids were not too excited about being at the meetings and were disruptive, as young children can be. I have another friend in the excavating business, Eric Metzler, who for three life memberships, removed the side berms and put the range in the condition that we were ordered to do by the town. After sending letters to the town, Board of Adjustment, Police, and anybody else we could think of, we opened the outdoor range and began to have high power matches. For the first three matches, the Police came up in response to complaints. That is their job, each time we presented the papers sent to the town and I took a copy to Chief Lou Esposito. The last time an officer came up, he told us “I’ll tell her it is a good day to go to the beach” and left. Then the FDIC started indicating that they wanted to settle our debt. That train got closer, in the tunnel. The executive board decided we needed one person to be our negotiator with the FDIC. Paul Bradshaw (commercial attorney) agreed to be that person. John Gumann, Paul Bradshaw and Bill Mount came up with a dollar amount number we thought we raise from the club members. This money would be the future of the club. If this was not raised, we were done. Paul makes an offer ($25,000) to the FDIC, substantially below the $400,000. We owed them. Our goal was to get them to give it to us for nothing. Paul called John and me as soon as he got the response. He was happy; he said “at least they didn’t laugh”. They came back with a counter offer of $50,000. And they would call it even. We raised the money we needed and formed the Chapel Hill Limited Liability Corp. All the members who bought into that can be credited with saving the club. I know there were more members, who wanted to help, but we had time pressure and we only had one meeting night to know if we could raise the money. To me, it is a testament to the importance of the club’s existence that so many members came forward to help. I can tell you that I was told by some members, “If you don’t get to where you need to be, I’ll make up the difference.” I was impressed. Our membership has now grown to over 650 members, dues paying members, and we are now once again on solid financial ground and I am very happy with the prospect of the club lasting forever. These were very difficult times, but the reward is what we have now. There is a lot of new enthusiasm, from our new members. Those of us, who knew Denville, will always miss it. Paul Bradshaw and I were discussing this and he said that we are about where we wanted to be financially had we done what our original plan was. The major difference was we no longer had Denville. There is no way we could have ever had a high power range at Denville. We know, from our experience with Ledgewood, if we don’t own it, it will probably not be available at some point. Chapel Hill LLC Managing Members: Will Jones, Michael DeLisi, Imre Von Balinth Chapel Hill LLC owners were , in alphabetical order: Ron Basista, Robert Begley, Dezso Benyo, Bruce Berg, Bill Billand Sr., Bill Billand Jr., Kyle Billand, Kevin Conn, Michael De Lisi, Jan Eyerman, James Fleshman, Michael Fortunato, John Gumann, Wayne Jarvis, David R. Johnson, Richard Johnson, William Jones, Herbert Kern, Larry Koch, Bruce Kreeger, Mark Loreto, William Mount, James Mundy, Joseph Murray, Jim Owings, Luther Owings, Frank Perelli, Frank Piceno, John Poster, Edward Ramm, Sven Ratsep, Roger Read, Norman Regbar, Fred Renz, Joseph Richards, Seymour Saltus, Robert Schorr, Mark Stern, William Tosca and Imre Von Balinth.